In 1913, members of the First Lutheran Church of Oklahoma City raised funds for the church by selling space in a time capsule. They called this capsule the "Century Chest" and buried it in the basement of the church for 100 years, to be opened in April of 2013. The idea of leaving messages and items behind for future generations inspired church members and people across Oklahoma City and the state of Oklahoma. Space in the chest was purchased at $3 per inch by individuals, organizations, businesses, tribal governments, and even schools, so we today might know what life was like for our ancestors more than 100 years ago. So join us as we examine not only what was inside the chest, but what life was like in Oklahoma, the United States, and the world in 1913. How has life changed in 100 years? How is it the same? What did the people of 1913 think of their lives and times? 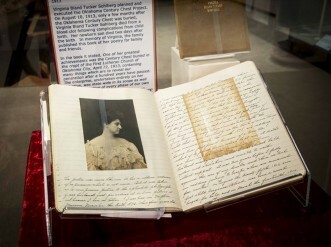 What do you think of the 1913 we can see with the help of these objects and documents? 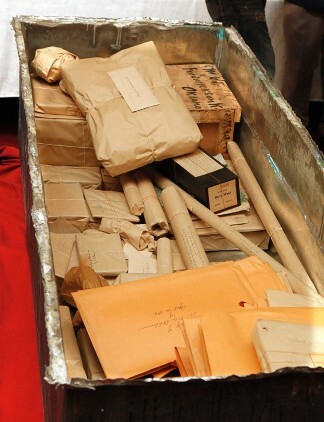 The unearthing of the Century Chest, April 22, 2013 (OHS Collections). A time capsule is a container of goods or information preserved for people in the future. Time capsules are usually chests or tubes filled with items that are important to the creator and buried or stored in some way so that it does not get damaged. They usually have a description explaining who created the capsule and why, along with the date it was created and when it should be opened. Time capsules can be left for future family members, members of a community, or be left for future historians to explore! On April 22, 1913, a capacity crowd witnessed an extraordinary burial ceremony at the First English Lutheran Church (now the First Lutheran Church of Oklahoma City) at 1300 North Robinson in downtown Oklahoma City. The Oklahoma Century Chest was sealed into the basement floor of the church, not to be opened for 100 years. The contents of the chest were chosen not only to tell the story of 1913 Oklahoma, but to speak directly to the unborn generations who were to follow in the footsteps of the pioneers who settled the land known as Oklahoma. The concept for the Century Chest was the idea of Virginia Bland Tucker Sohlberg and was originally planned as a fundraiser by the church's Ladies Aid Society to pay for a new church organ. As excitement grew about the Century Chest the idea evolved first into a city-wide affair to mark the 24th anniversary of the 1889 Land Run, and then it blossomed into a state-wide event. Opening of the chest (image courtesy of The Oklahoman). Photo of Virginia Bland Tucker Sohlberg, who came up with the idea for the Century Chest. She died a few months after the chest was buried (OHS Collections). 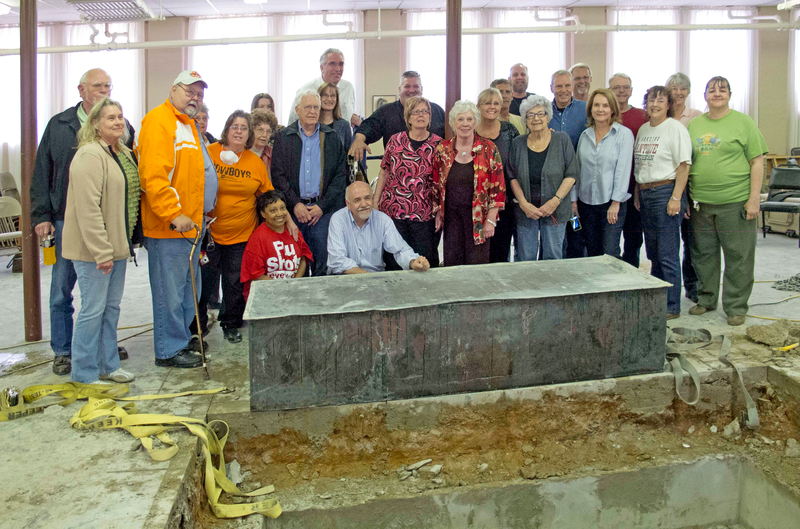 On April 1, 2013, the Oklahoma Century Chest was excavated from the basement of the church. The excavation began with the help of the Oklahoma Archeological Survey who used state-of-the-art ground penetrating radar to help locate the position of the underground vault. 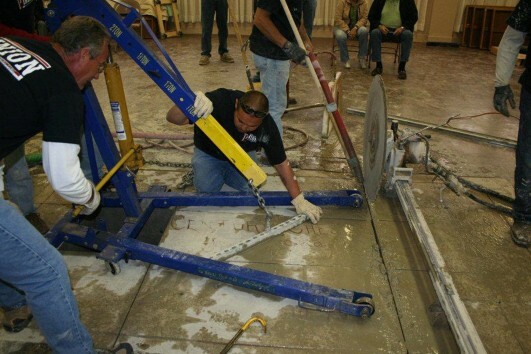 Next holes were drilled and a miniature digital camera mapped out more detail of the burial chamber and, finally, after more than eight hours of work the Pinion Design and Contracting Company of Oklahoma City removed the 100-year-old time capsule from its resting place. Excavation of the Century Chest (Image courtesy of The Oklahoman). On Monday, April 22, 2013, at 10 am, the First Lutheran Church of Oklahoma City opened the Oklahoma Century Chest which generations of its members have been dutifully protecting and remembering since that long ago day in April of 1913. In the same sanctuary in which the 1913 ceremony took place, the Century Chest was opened, the same organ played tuneful notes, and the spirits of 1913 Oklahoma awoke just the way the pioneers of Oklahoma had planned it a century ago. Visitors at the church stood over and examined the double-cement walls which protected the burial vault. The concrete vault was said to be water-proof, germ-proof, and ghoul-proof. E. O. Parsons Cement Company of Oklahoma City constructed the vault and outer cement walls to specifications of the church to guard against destruction from fire or tornado. Inside the cement burial vault resting on a specially- built inner chamber was the copper Century Chest. Just as planned, he chest stood the test of time and protected the treasure trove of Oklahoma history for a new generation to enjoy. Outside of the church a large tent was erected to accommodate the overflowing crowd. OETA Public Television streamed the event live on its website so Oklahoma schoolchildren and anyone around the world could take part in this once-in-a-lifetime event.